With a stay at Ancora Punta Cana, All Suites Destination Resort in Punta Cana, you'll be 2.2 mi (3.5 km) from Juanillo Beach and 5.8 mi (9.4 km) from Punta Espada Golf Course. 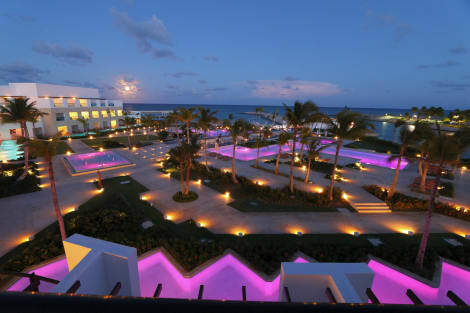 This 4.5-star resort is 10.5 mi (16.9 km) from Downtown Punta Cana and 10.6 mi (17.1 km) from San Juan Shopping Center. Located in the heart of the Caribbean, this resort is heaven on earth. A luxury all-inclusive hotel with a privileged location. World-class facilities, personalized attention, fun activities and a breathtaking setting make it simply unique. With 9 swimming pools, Yhi Spa, health club, 14 bars, 12 restaurants and endless details enjoy a truly memorable holiday in an idyllic setting surrounded by beautiful tropical gardens. At The Level at Meliá Caribe Tropical we take your Caribbean experience to another, higher level. The Paradisus Palma Real is located on the beachfront of the idyllic Bavaro Beach, one of the most beautiful beaches in the world, in Punta Cana (Dominican Republic). The natural beauty of the setting, the stunning tropical gardens, a climate of eternal summer all year round unite with a passion for service in this luxurious hotel to allow Paradisus Palma Real to offer guests the most magical moments and unforgettable experiences. Paradisus Palma Real is a deluxe luxury all inclusive hotel in Punta Cana providing a YHI Wellness Center, Royal Service, fine dining, 3 pools, casino and other services. The Paradisus Palma Real is a luxurious all inclusive resort, ideal for couples and adults, but also for business travelers. In each and every one of the guestrooms even the smallest details have been carefully designed to offer a personalized experience and guarantee your full satisfaction. Some people call it Punta Cana, others call it paradise, and we call it pure luxury in the Caribbean. In one of the most appreciated areas of Playa Bávaro, right on the beachfront, is the Paradisus Punta Cana, an all inclusive resort that offers superb services and facilities as well as lush gardens and calm waters. Enjoy a magnificent tour of the tropical mangroves, see turtles and flamingoes, have a great time on the beach or take part in any of our activities. And, after a full day of fun in the sun, relax with one of our treatments at the YHI Spa, take a dip in one of our 5 pools and finish the day off with a delicious dinner, and a drink in the Red Lounge before giving in to a good night’s sleep in a comfortable room. Here you have everything you need at your fingertips: casino, entertainment at the Teatro Nova, adventure park, bikes and access to the well-known Cocotal Golf & Country Club. A place where serenity and fun are not at odds. Get ready to live a memorable holiday experience! Welcome to The Reserve, the new all inclusive boutique resort at the Paradisus Punta Cana, specially designed for families. This deluxe luxury hotel in Punta Cana has a spectacular swimming pool with water ritual as well as a children’s pool with slides. It also provides a YHI Spa, Family Concierge service, the finest dining, a private golf course, a fully equipped gym, a fun Kids Zone with great facilities for children, and 122 totally new luxury suites which include One Bedroom Master Suites, The Reserve One Bedroom Suites and 48 Family Concierge Suites. We also provide transport to the beach, and free access to all of the services, facilities and restaurants of our sister resort at Paradisus Punta Cana (except Royal Service areas). Seven Smiles Hotel located in the heart of Bavaro and just 24 kilometers from the International airport in Punta Cana, Dominican Republic. This hotel is completely renovated, and is near countless tourist attractions. We offers to the guests the opportunity to escape and relax in a paradise bordered with palms trees and the crystalline waters of the Caribbean Sea. Our guests will enjoy the beach club, Wi-Fi. Our hotel is located in El Cortecito area where you can find different restaurants, bar and gift shops. This is the perfect place for people who want to lean about dominican culture and enjoy their time saving money! The continental breakfast it's included. All the rooms have air conditioner, Tv, private bathroom with hot water, towels and safety box. With a stay at Bavaro Green, you'll be centrally located in Punta Cana, within a 15-minute drive of Downtown Punta Cana and Manati Park Bavaro. This family-friendly aparthotel is 5.9 mi (9.5 km) from Bavaro Beach and 10.2 mi (16.4 km) from Punta Cana Beach. When you stay at Seranta Brisas de Bavaro in Punta Cana, you'll be by the sea, a 4-minute drive from Cortecito Beach and 9 minutes from Hard Rock Golf Club at Cana Bay. 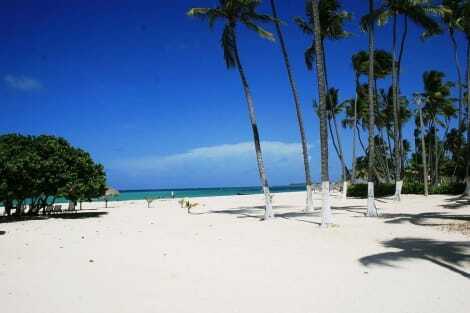 This hotel is 2.5 mi (4 km) from Arena Gorda Beach and 4.7 mi (7.6 km) from Bavaro Beach. Located in Punta Cana, Punta Cana Seven Beaches is within a 10-minute drive of Bavaro Adventure Park and Downtown Punta Cana. 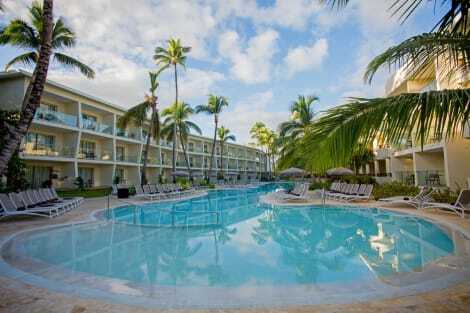 This aparthotel is 3.2 mi (5.2 km) from San Juan Shopping Center and 5.3 mi (8.5 km) from Manati Park Bavaro. Pamper yourself with a visit to the spa, which offers massages, body treatments, and facials. Before a night out at the casino, the 2 outdoor swimming pools are a perfect way to relax and recharge. Additional features at this property include wireless Internet access (surcharge), babysitting/childcare (surcharge), and an arcade/game room. Guests who want to try their luck at the slots can hop on the complimentary casino shuttle. Featured amenities include a 24-hour front desk, luggage storage, and laundry facilities. This property has 2 meeting rooms available for events. Free self parking is available onsite. When you stay at this apartment in Punta Cana, you'll be on the beach, just steps from Cabeza de Toro and Dolphin Explorer. This 4-star apartment is 0.6 mi (1 km) from Bavaro Lagoon and 5 mi (8.1 km) from Downtown Punta Cana. Relax on the private beach or enjoy other recreational amenities such as an outdoor pool and a fitness center. This resort also features complimentary wireless Internet access, concierge services, and gift shops/newsstands. Portblue Le Sivory Punta Cana is a boutique hotel for Adults Only offering an all inclusive package in Punta Cana, recently renovated and refurbished. An hotel where you can relax and enjoy,immersed in the beauty of the Campiña de Uvero Alto (High Uvero Countryside). The hotel has been awarded with the prestigious AAA Diamond Status, the tranquility and intimacy are the medals of this boutique hotel and we are committed to the sustainability of it’s surroundings. The gastronomy is one of the most attractive values of the Sivory, and presents a complete and varied gastronomical offer with three restaurants and a Palapa (a palm leaf thatched dwelling) right on the beach,where you can taste and enjoy some of the best dishes from all over the world. Relax at the full-service spa, where you can enjoy massages, body treatments, and facials. After dipping into one of the 5 outdoor swimming pools, you can spend some time at the private beach. Additional features at this Colonial property include complimentary wireless Internet access, concierge services, and gift shops/newsstands. lastminute.com has a fantastic range of hotels in Punta Cana, with everything from cheap hotels to luxurious five star accommodation available. We like to live up to our last minute name so remember you can book any one of our excellent Punta Cana hotels up until midnight and stay the same night.